Here at Buckley Industrial we supply a wide range of hose couplings for fire hose & fire couplings. These range from Layflat fire hose to Suction hose couplings, which provides our customers with a varied product range to meet their needs. The Standard lightweight water delivery fire is supplied in bore sizes of 19mm up to 152mm and ranges between 60 bar and 30 bar. Couplings are used to connect hoses together and to any additional fittings or connectors you may be working with. Our couplings have a sealing mechanism which means that instantaneous couplings are suitable only for use in pressurised systems. They are also optimised for flow between the male and female half. If you are working with various sizes and are in need of converting one size to another, in the same connection system from one to another, instantaneous adaptors are what enable you to accomplish this. Instantaneous Caps & Plus are also available to either seal the water supply, hold hose pressure or prevent damage. These are available in Light Alloy & Gun Metal and for non-pressurised applications they can be supplied in rubber or plastic. 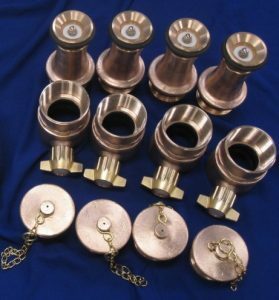 Storz Couplings and adaptors are manufactured in Light Alloy, Brass or Gun Metal. 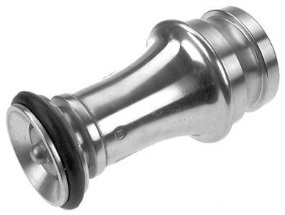 The Storz coupling is a symmetrical hermaphrodite coupling connected by a two lug bayonet joint. Its size is determined by the distance between the two lugs. The adaptors on the other hand can be supplied with Male or Female BSP Threads. Branch pipes and nozzles are essential tools for firefighting and are used at the delivery line of hoses, to assist water velocity which results in spray or even a jet. 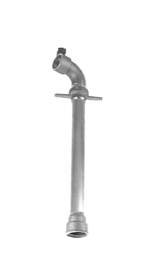 Plain Jet Nozzles can be supplied as a 1 piece ‘combined’ unit, or as a 2-part Branchpipe with a separate nozzle. 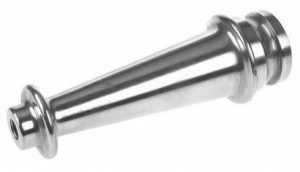 Nozzle outlet sizes can vary from 9mm, 12mm, 16mm, 19mm and 25mm, which provides you with a varied choice range to meet your requirements. These can be supplied in Light Alloy or Gun Metal. Standard inlets are Male 64mm Instantaneous to BS336. These are the necessary couplings to connect suction hoses together however, they work differently to an instantaneous coupling as it provides an effective seal for using in suction applications. The coupling halves are typically threaded with a special round thread to BS336, then screwed together to compress a sealing washer. The direction of the water flow is normally from the female half to the male half of a coupling. It’s possible to screw the coupling halves together without needing to twist the hose. The female halves come to 4 lugs and males to 2 lugs. Standpipes are a vital necessity for enabling underground fire hydrants to connect to a pressurised water mains supply. The base of standpipes usually come to 2.5″ in threaded female hydrants round thread and the outlet is usually 2.5″ as female instantaneous. In addition, the standpipe shaft length comes in at 30″ and may benefit from the use of hydrant keys and bars. If you would like to find out more information about our products, then please contact our sales team who will be able to help you with all your needs.